For me, composition is one of the most rewarding events I can partake in. However, getting comfortable with the language takes a very long time and only a select percentage of people actually turn that dream into a reality. So I’ve written down these 5 tips for the young composer. It doesn’t matter what style, what level, or how far you truly want to take it… from hobbyist to professional, these 5 tips will greatly improve your composition ability. Often overlooked, it’s important to realize that practicing our craft as often as possible is necessary for growth. Just like an athlete lifts weights to become stronger and perform better, we must write consistently to more effectively and accurately bring forth our thoughts/emotions/etc. in the music we write. This doesn’t mean we have to write an entirely new piece every day, but you should at least practice composing a section of music or developing a motif. Whether than means you will compose completely by ear today with your guitar and then practice writing for a string quartet tomorrow, doesn’t matter. Just make sure that what you practice the most directly correlates with your goals. As some of you may know, I’m a big fan of listening to and learning from other styles of music. However, when I write, I make sure to focus the majority of my time on music that I like. Every now and then I’ll compose a tune in a different style to learn from it, but not nearly as often as I spend time writing music that ultimately caters to my end goals. What I mean by this, is that’s it’s always nice to know where you’re going to end up before you start moving. Sure, sometimes you’ll just get in your car and drive around. However, most of the time we have a place in mind that we would like to visit when we get in our car. The same goes for music composition. It’s much easier to compose a piece of music (and a lot less overwhelming!) when you specifically chart out the length of the piece from beginning to end. Once you’ve done this, it’s good to figure out where the sections will split. Perhaps you will have an 8 bar intro and your first chorus will only last 16 measures this time, but the second time it comes around it lasts for 32 measures. It really doesn’t matter what you decide, but it’s always helpful to chart out a rough idea of what you would like to accomplish before you go about accomplishing it (even if you eventually stray away from your parameters). It’s very tempting when you’re a young composer to throw in everything you’ve just learned into your latest composition (I know from experience!). Mixing Funk, Swing, and Death Metal sounds great in concept, but you’ll soon learn that it’s much easier said than done. So I recommend choosing only 1 or maybe 2 new ideas that you haven’t composed with yet and then mix them into a style you’re comfortable with. Haven’t composed for 4 voices yet in a traditional classical/counterpoint style and would like to; but you are more familiar with rock music? Great! Compose something you like for voices first and then take your expertise of rock music and apply it as appropriate. Sure, you’ll change the vocal parts a bit as you progress, but you’ll also learn new innovative ways of fusing your rock music together with this uniquely different style. Perhaps you’ll find that a rock type lead guitar solo doesn’t work in this situation, but a unique way of playing arpeggios or chord melody works perfect! Have you ever wondered why rock guitarists always play power chords and octaves (besides the fact that they sound cool)? It’s because Octaves and Perfect Fifths sound best in the lower range of any instrument and since the guitar transposes down an octave, guitarists tend to play voicing’s that start with a Perfect fifth or Octave on the lowest 2 strings (E & A). It’s very important to remember this, as a sturdy foundation in the lower range is essential to most every style of music. Sure, you can play thirds in the lower range but more likely than not it will be too muddy to recognize. So as a rule of thumb, any chord starting below the middle line in the bass clef should be written with a perfect 5th or Octave on bottom. Last but surely not least, if you’ve written a very important melody that is at it’s absolute climax and you want for it to come across strongly, then you must support it! Don’t expect the violins alone to carry that super high melody (even if there are 20 of them). If you want it to come across strongly, then you must support it in some way. Usually if it’s over the 2nd or 3rd ledger line above the treble staff, you want to support by doubling (sometimes tripling) the melody an octave below in another instrument (perhaps viola, or another guitar for rock). This will come across much more clearly without detracting from the integrity of your melody. If it’s under these ledger lines and still feels a bit weak, than I recommend supporting your mainly melody by 6ths. This is a very commonly used technique and can even give you some unique harmonies that you may not have ever thought of using before. Until next time, take care and keep composing fellow artists. 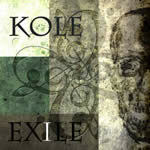 Kole has just released his debut album “Exile”. To listen to examples, find out more information, or purchase the album click here. 3 Ways to get out of a Songwriting Rut! Kole has been playing and composing for over 12 years with half of that time being spent at some of the world's most respected music institutions... the Jacobs School of Music at Indiana University and the Musicians Institute in Hollywood, California. Kole has co-authored an instructional e-book for guitar titled “Serious Improvement for the Developing Guitarist.” Kole has also just finished a new instructional Jam Tracks CD titled “Improve your Improv.” This product is perfect for aspiring lead guitarists or anyone who needs backing tracks to play over. 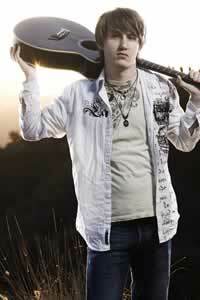 Copyright 2009 Kole (Kyle Hicks). All rights reserved.